This entry was posted in Beef Box, Equipment, Television, Uncategorized and tagged Jim Nantz, Johnny Miller by David Owen. Bookmark the permalink. I call them woods and i call my hybrids irons. Maybe it’s the beer, but this is one of the very best DO leavings….. opening the door to various recollections such as “Ginty” or “cleek.” I have a cleek made by Bert Dargie in MEM that is dogwood with a hand-scored face. I can’t bring myself to hitting any ball newer than 1978 with it. When I reach for this club in my “golf cave” my hands tremble, knowing that Scottie Dargie’s dad made it on 19-0h-nothing. What a great game! It’s a 3-wood. Duh. And when I met you on a public course decades ago, I think I was still playing with a persimmon 3-wood. Good way to learn how to hit straight with a small-headed object, but am ecstatic that I no longer have to use it. 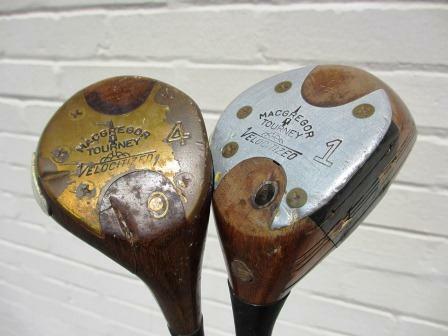 try explaining to some golfers that a Cleveland Niblick wedge is not a chipper–THEY ARE MY WEDGES! !